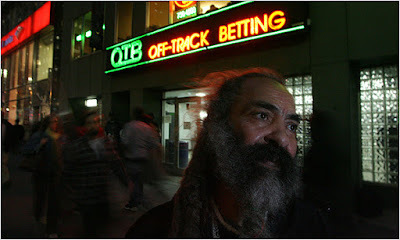 American, Jesus Leonardo, walked into a betting shop without placing a bet and walked out with $9,500. The man from Midtown, Manhattan, makes a tidy profit from visiting bookmaker's and racetracks, sorting through betting slips thrown in the bins or scattered on the floor. 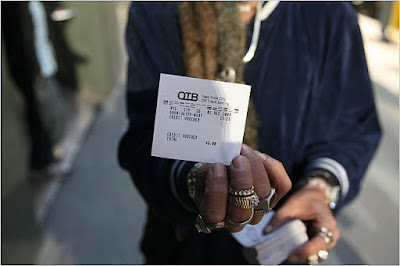 He's known as a ''stooper'' and pockets cash by picking up tickets that others have thrown away as rubbish. In fact, over the years he estimates he has collected nearly half a million dollars. When you consider that uncashed winning tickets at bookmakers and racetracks in New York totalled more than $8.5 million over a two-year period there seems ample opportunity to take advantage of others misfortune. Jesus Leonardo has not even placed a bet. He said: “It is literally found money,” he said on a recent night from his private winner’s circle. He spends more than 10 hours a day there, feeding thousands of discarded betting slips through a ticket scanner in a never-ending search for someone else’s lost treasure. 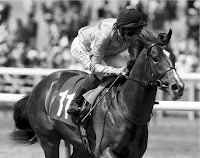 The fascinating endeavours of stoopers captured the interest of journalist T. D. Thornton who wrote a book in 2007: Not by a Long Shot: A Season at a Hard-Luck Horse Track. He said: “Stoopers are the gleaners of the racetrack world. Stoopers have a relationship with horse tracks that goes back to the advent of parimutuel betting in the early 1930s. There is an unwritten code in racing that says stoopers are tolerated as long as they are not perceived as harassing or stalking customers.” “They are allowed to live on the fringes,” he added. Leonardo says he makes a good living from stooping making from $100 - $300 a day and more than $45,000 ay year. He said: Last month, he cashed in a winning ticket from bets made on races at Santa Anita Park in Arcadia, Calif., for $8,040. His largest purse came in 2006, when he received $9,500 from a Pick 4 wager (choosing the winners of four consecutive races) at Retama Park Race Track in Selma, Tex. It is all taxable income. “I file my winnings with the I.R.S. every year,” Mr. Leonardo said in his thick Dominican accent. He decided it was a winning job and returned every day waiting for the betting shops to be placed at the curb and picking through hundreds of slips. He hasn't got any intention of stopping.